A paying job is an enormous source of pride and personal independence. Our Employment Gateway Program is part of a nationwide vocational rehabilitation network of services that helps adults with disabilities find full- or part-time work. An employment specialist helps pair the individual to a job that matches his or her skills and interests, then provides on-the-job training and support until the individual can perform the job independently. And, in an effort to better prepare young adults with disabilities for employment, we have partnered with the Winston-Salem/Forsyth County Schools to offer a specialized class -- Transition to Adult Life in the Community. Learn more here. Meeting the needs of our Employment Partners is a top priority. Employers benefit by gaining dependable, hard-working, diverse employees who are trained with the assistance of an Employment Specialist – all at no cost to the Employer. The Employment Specialist works with the Employer to ensure the job is performed successfully from the beginning. Have questions about the Employment Gateway? We're here to help. Lowe’s Companies, Inc. is a FORTUNE® 50 home improvement company serving more than 17 million customers a week in the United States, Canada and Mexico. 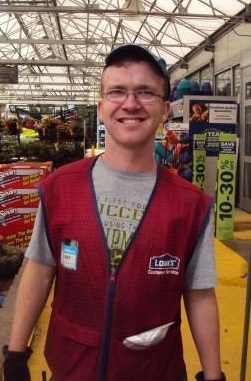 Lowe’s and its related businesses operate or service more than 2,355 home improvement and hardware stores and employ over 285,000 employees. Lowe's stores have 40,000 products in stock, 250,000 items available online and more than 500,000 products available by special order. Founded in 1946 and based in Mooresville, NC, Lowe’s supports the communities it serves through programs that focus on K-12 public education and community improvement projects. For more information, visit Lowes.com. Thank you to all our Employment Partners!